Whether you were 'born' a Catholic, like me, converted to Catholicism, like one of my favourite authors - C. S. Lewis - are thinking of becoming a Catholic, are curious about Catholics/Catholicism or aren't too fond of Catholics/Catholicism, I want to start by welcoming you to this "Catholic Contributor" page. 1. Encourage Catholics to research, read and learn (more) about their faith. 2. 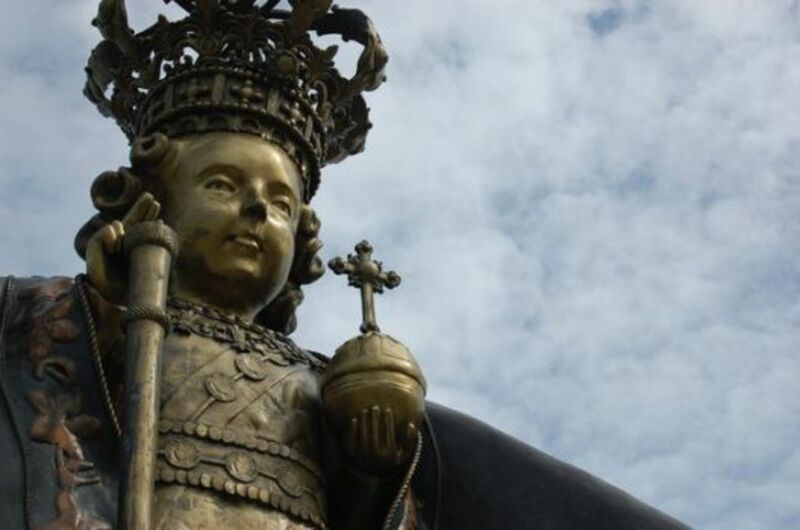 Showcase quality articles) about Catholics & Catholicism. 3. Educate everyone about Catholicism (beliefs, people, practices etc.). 4. Dispel myths about Catholicism and being a Catholic. 5. 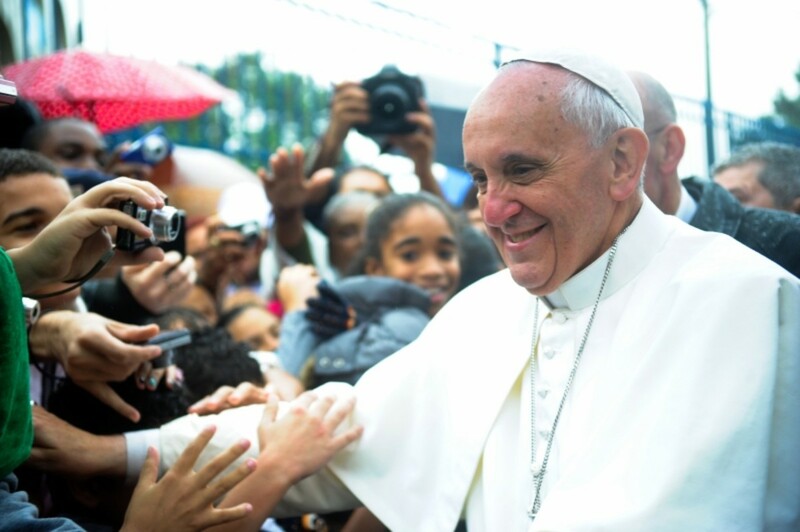 Keep you up-to-date with what's happening and trending in Catholicism. 6. Recommend useful products/services to aid you in your spiritual journey. 7. Convey insightful ideas about how, as Catholics, we can make our Christian/Spiritual journey joyful, exciting and fruitful. What excites/concerns/puzzles you about being a Catholic or Catholicism? What has been your experience as a Catholic (born or converted)? How or why did you become a Catholic? If you want to learn more about Catholicism (Catholic or non-Catholic) right now , there's no need to wait any longer. COME IN! ! Enter by whichever door you choose. 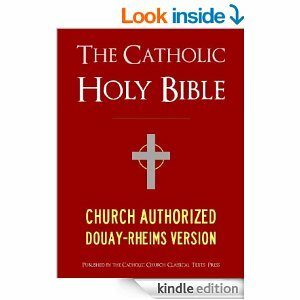 5 stars for The Douay-Rheims Catholic Bible! DID YOU KNOW a Catholic Bible is different? 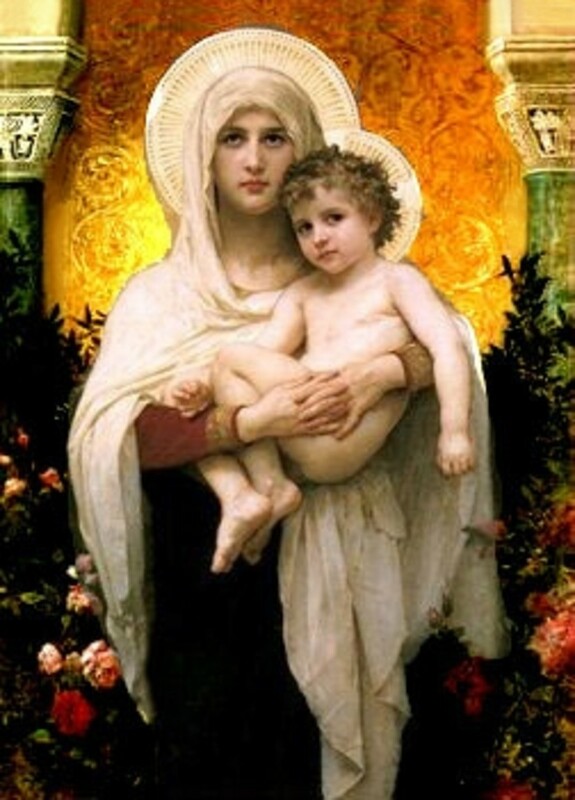 I was born a Roman Catholic and received the Sacrament of Baptism, which is the first of seven (7) Sacraments in the Catholic Church, when I was just twenty-two (22) DAYS old. Subsequently, I also made my First Holy Communion and received the Sacrament of Confirmation. I have been a Roman Catholic for more than forty (40) years now and while some of my knowledge about Catholicism was learned/passed on during the normal course of attending Holy Mass, receiving religious instruction, attending Catholic schools, going on spiritual retreats, and my Catholic upbringing through my parents, a really deeper understanding and appreciation came in adulthood through my own research and searching. I received my primary and secondary education in Catholic Schools run by Catholic nuns and I attended Holy Mass every week with my family. One of my fondest memories is that of going to Church and seeing the other families (mother, father and children) at church. 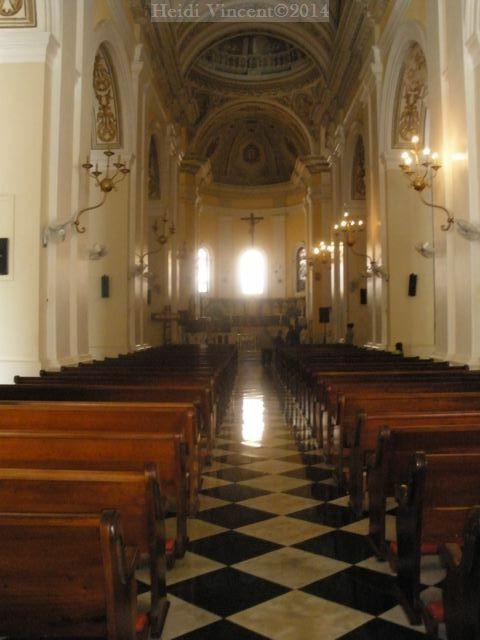 In fact, each family sat on the same bench every Sunday so you always knew instinctively knew when they did not attend mass; which was rare. I wish more ‘traditional families’ went to Church nowadays but at the same time I want to jump right in here and salute all the mothers who take their children to Church on Sundays, in the face of absent fathers or fathers who just don’t go to Church. I am still journeying as a Catholic Christian and I know that I am a long way off from being the perfect Christian but “Rome was not built in one day”. So I hope that, like me, you will resolutely make progressive daily steps on your Christian journey. 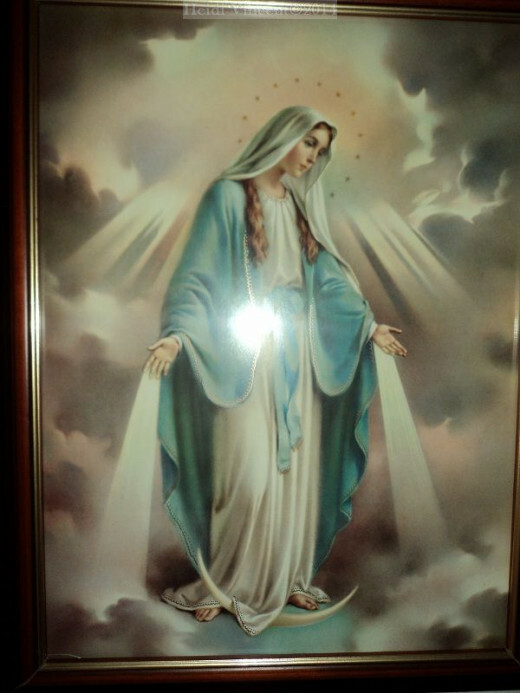 This beautiful picture of Our Lady, which my Dad (rest in peace) bought, hangs in my hallway at home. “With colorful, captivating illustrations, the Catholic Prayer Book for Children helps boys and girls ages 6 to 10 discover the beauty of prayer as it encourages them to form the lifelong habit of praying. 3 Catholic Priests Who Can Really Sing! Meet 3 Chart Topping, Global Singing Sensations - 'The Priests'! 'Born' Catholic or 'Converted' Catholic? Sometimes the most lethargic Catholic is a ‘born’ Catholic. Why? I think that a good way to explain it is by using the example of a child born into riches and a man who made his riches as an adult. Most times, a child born into riches, usually takes all of his/her privileges for granted. He/she enjoys them without giving a second though to how they were earned and, in most cases, even abuses those privileges, living and spending money wildly and having no real purpose in life. Likewise, ‘born’ Catholics often take the privilege of being Catholic for granted by doing the minimum to remain a ‘good’ Catholic; attending Holy Mass once a week or on Holy Days of obligation and attending religious instruction in order to get Baptized, receive Holy Communion, be Confirmed and get Married in the Catholic Church. A man who emerged from poverty to make himself a millionaire, however, understands the importance of having money, what it can do for him and is driven to succeed by the remembrance of what it felt like to not have enough money. Likewise, a ‘converted’ Catholic is often someone who has been engaged in a significant amount of spiritual soul seeking/searching before joining the Catholic church and wants more than just ‘minimalist survival’ in a religious congregation. In the final analysis, being ‘born’ a Catholic, as opposed to being a Catholic convert, doesn’t make one a better Catholic. So whether you are a ‘born’ or ‘converted’ Catholic, what really matters is how you live out your life as an example to Catholics and non-Catholics. Most importantly, when you ‘fall’ into sin (not ‘if’, because you are human), be brave enough to get up and continue your journey of being a good Catholic. NEVER! EVER! let other people’s reminder of what you did or were in the past keep you from standing up and claiming your Catholic heritage which was handed down to you (born Catholic) or which you rightfully received (through your baptismal initiation into the Catholic Church). As Catholics, we must ensure that like Mahatma Gandhi, for whom I have the utmost respect, people do not say about us, “I like your Christ, I do not like your Christians. Your Christians are so unlike your Christ." May the peace of Christ be with you! Now let’s get to work! For trusted and insightful Catholic Broadcasting visit EWTN . Praying isn't for 'wimps' alone... - strong and wise men do it too! 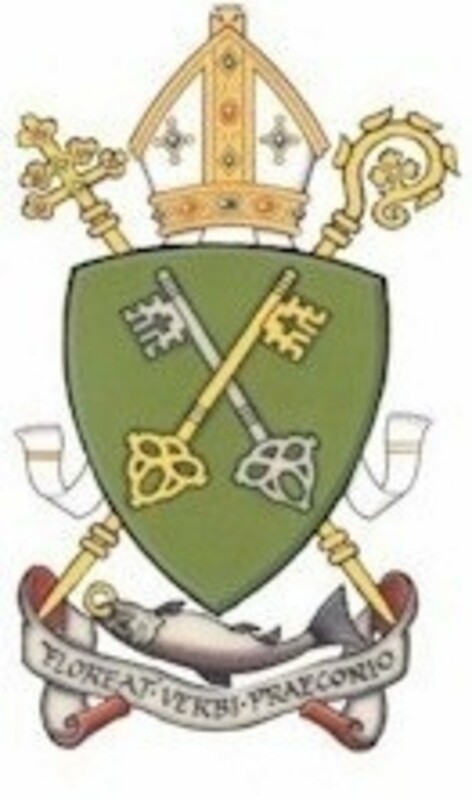 I have found that my efforts to move from a passive Catholic to really understand the mass, it's meaning and why certain things are done, have given me greater appreciation and reverence for the Mass and my Catholic Christian heritage. Whether you are a Catholic or a non-Catholic, let us know you were here. @Brite-Ideas: Thanks Brite-Ideas! Well I guess we didn't know each other back then :)) Thanks for visiting and have a blessed week. @CatholicPostage: You're welcome CatholicPostage! You are sooooo very right! I wish that many people who are thinking about the leaving would first delve into understanding the wonderful sacraments and traditions in the Catholic Church. Then for sure they would not leave once they understood the richness of their Catholic heritage. Thanks for visiting and have a blessed week! I hope to see more of you around and Ill be looking out for great Catholic and Christian articles (lenses) from you. Thanks for doing this lens, I was born and raised Catholic, and still am today. It is sad how many leave without really getting into it, great lens. @BodyHairRemoval: Good for you, Body_Hair_Removal_for_Men! Now for the important part - I hope that you a practising Catholic. Thanks for visiting and have a blessed week. I'm a born and raised Catholic. @WriterJanis2: Thanks Writerjanis! Sorry you have moved on but I hope that whatever religion you are currently practicing is bringing you peace and into a closer relationship with God. Thanks for visiting and have a blessed weekend. Congrats to you! I was raised Catholic, but no longer practice the religion. @GeorgeneMBramlage: Thank you for this wonderful summary of your Catholic Christian journey, Cercis! Thanks for your support Cercis! With respect to the response you got from the residents, remember to hold on to the positive responses and throw the negative ones behind you. With your support, the support of others and the Holy Spirit, I know that God will see me through this, yes, mammoth niche :) Happy Easter! I was born and raised strict catholic however my journey through life has opened me up to many religions so I know think of myself as charming eclectic with catholic roots! It is amazing that how you are raised never leaves you and all the steps you take your beliefs are the skeletal system for what you choose to become. I am definitely a "cradle Catholic." And like so many of my kind have had my own ups and downs...but I can't imagine life without my Catholicism. This brings structure to my life and my days. However, any who know me would laugh at the idea of my being a structured individual. FreshStart, you've taken on an important and mammoth niche and I support and applaud you. Through an interesting series of circumstances, I recently had the privilege of participating (pinch-hitting) in the Ash Wednesday Vespers at my Lutheran-conference-owned retirement community. The response was amazing! Some residents were thrilled with the ecumenism, others were very supportive and appreciative of me, and there was, of course, a small number who scowled. Peace and Good to all! @MarathonRunning: Thanks for your visit and very honest sharing, MarathonRunning. All of our spiritual paths will not lead us down the same road. What is important, is that we let God be our guide. Have a fabulous weekend! 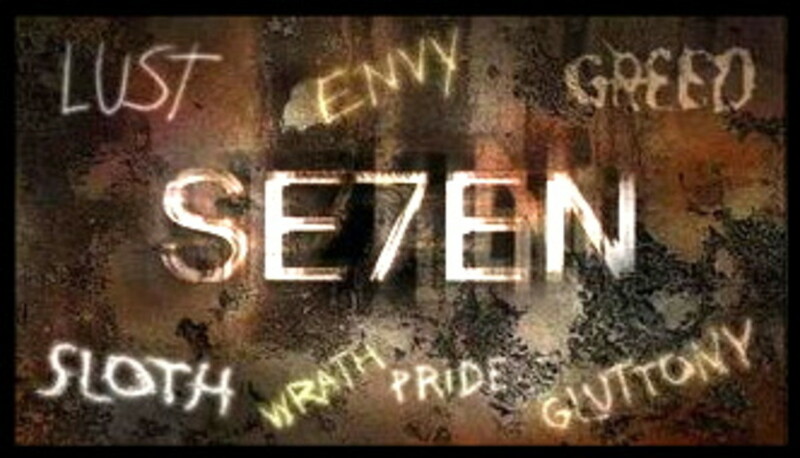 @Diana Wenzel: Every christian should be like you, RenaissanceWoman2010! You are right about the opportunity that I know I have been blessed with and I always ask the Holy Spirit to lead me. Thank you for visiting and for your blessing on my new mission. Have a fabulous weekend! I was raised as Roman Catholic and received all sacraments as I regularly attended the education. My love and acceptance of Jesus is very big and I love to read about his teachings, but I found that many other religious concepts are also worthed to be studied. I`m open minded and appreciate diversity and I think that everyone in my life and every new knowledge I get is a chance to grow in my spiritual path. Thank you for sharing your views and congrats on the role and on this nice lens! I am not Catholic but I am a Christian who appreciates and respects what makes each faith beautiful in its own way. You have a real opportunity in this role to touch lives in powerful ways. May you be blessed as you fulfill this new mission. 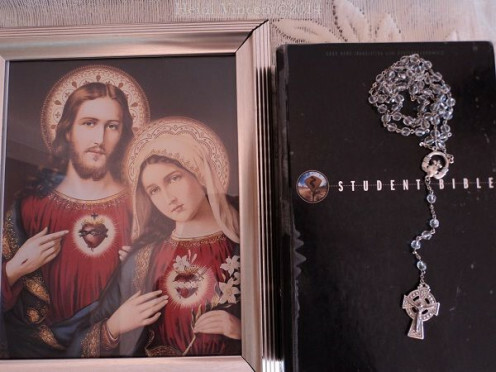 @Charito1962: Thanks for visiting and letting us know that you are a proud Catholic. Have a blessed week. I just want to let you know..I love being Catholic! I was raised to be Roman Catholic - and I do appreciate the teachings of Jesus when I attended Sunday school. (I'm not so "practicing" a catholic now, however). I've developed an interest in other religious philosophies, but I can relate (and remember) how much faith has taught me to endure. Congrats on your new role, your work has helped me more than you know. 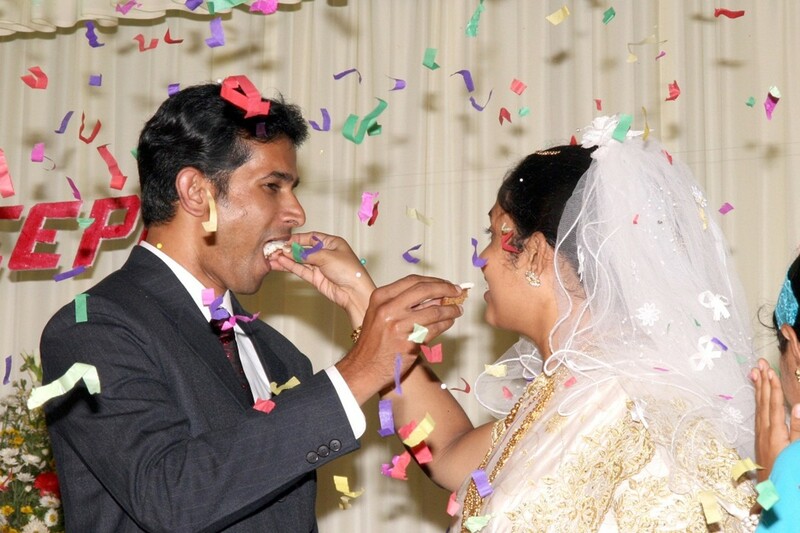 @Sylvestermouse: May God continue to bless you, your husband and your marriage, Sylvestermouse! Not many people are able to STAY married these days. The rate of divorce is steadily increasing. I am happy that as a fellow Christian you have taken to time to visit and share on my lens. Thanks also for your kind compliments on my suitability for the post. Have a blessed week. I am not Catholic, but I am a Christian. Many of the members of my husbands family are Catholic, so I have been in and around the Catholic church pretty much all of my life. (we have been married for more than half my entire life) I think it is awesome that we have a Catholic Contributor on Squidoo and I know just from reading this lens that you are the perfect choice. @GrammieOlivia: Thank you soooo very much, grammieo. That is exactly my wish. Thanks for stopping by and have a blessed week. Dear dear Fresh Start7, what a wonderful powerful lens, and one I hope many Catholics or want to be Catholics see! You are an inspiration.